Late last night, I opened my e-mail to find a rather long message sent from a reader by the name of Zach. 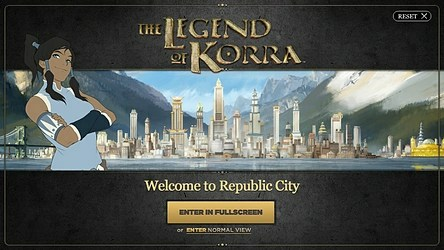 In a nutshell, the e-mail contained ideas for a potential Legend of Korra/Last Airbender RPG Video Game. In case you’re unfamiliar with the term, RPG stands for Role Playing Game. In RPG’s, players take the role of a single player and play out the life of that player in a fictional setting. Zach had a very interesting idea of incorporating the aspects of an RPG style game with Avatar. We’ve seen plenty of Avatar games over the years that have pretty much set gamers on the path of playing out specific story lines. All of the games were very basic and, in my opinion, too simplistic. Personally, I love RPG styled games. Even thought I’m not much of a gamer anymore, I’d prefer to play some sort of online RPG game over a lot of other genres in gaming. Two days ago, we were given the information that the identity of Lin Beifong’s father as well as information on the subset of Air Bending was going to be revealed in The Legend of Korra. I had explained that these two aspects would be revealed in Book 2, but I may have had a bit of a slip-up. While I was reading Morgan Bannon’s (Airspeed Prime) latest post on Avatar: The Last Airbender Online, he pointed out a very interesting observation: this information was never confirmed for Book 2, specifically. While going over the Tumblr post again that had revealed this information, I realized that Morgan was correct. Even though we will learn about Lin Beifong’s mother as well as the Subset to Air Bending at some point in time, we can’t necessarily confirm that this information will be revealed in Book 2. 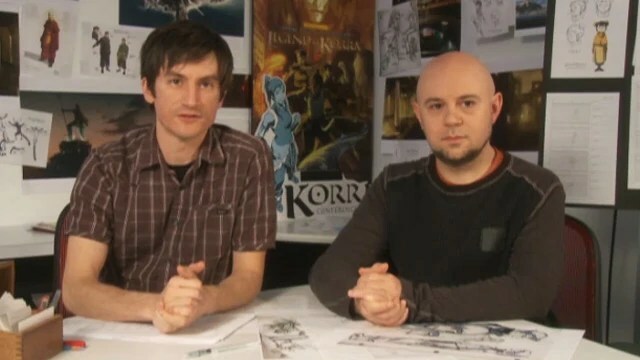 Amidst all the anger and animosity towards Nickelodeon, I’ve noticed that some of that anger has trickled onto the plates of The Legend of Korra’s creators, Mike and Bryan. I’ve read comments along the lines of Why aren’t Mike and Bryan announcing the release date? and I hate how the creators won’t give us Book 2’s release date. While I respect the passion that some of these fans clearly have for the show, I couldn’t live with myself if I didn’t call them out. What these fans are saying is completely inaccurate. In this scenario, Mike and Bryan are essentially being framed for a crime that they didn’t commit. They are taking the blame for something that is completely out of their control because, quite frankly, Book 2’s release date is completely out of Mike and Bryan’s hands. Mike and Bryan have no say in the release date for their series’ as well as the announcement for the release date. That decision lies solely in the hands of – you guessed it – Nickelodeon. Nickelodeon makes that decision on their own terms and they do not involve Mike and Bryan at all. 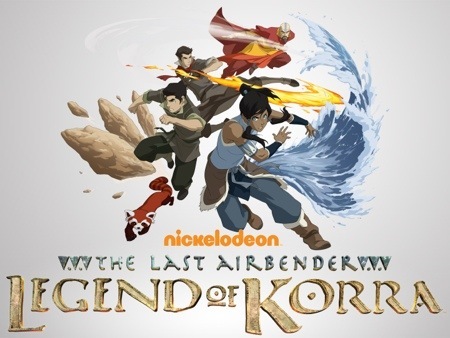 So if you want to complain to someone about not knowing the release, don’t complain to Mike and Bryan, don’t complain to me (ridiculous, I know, but I have heard complaints for not announcing a release date), and don’t complain to the voice actors involved in The Legend of Korra. 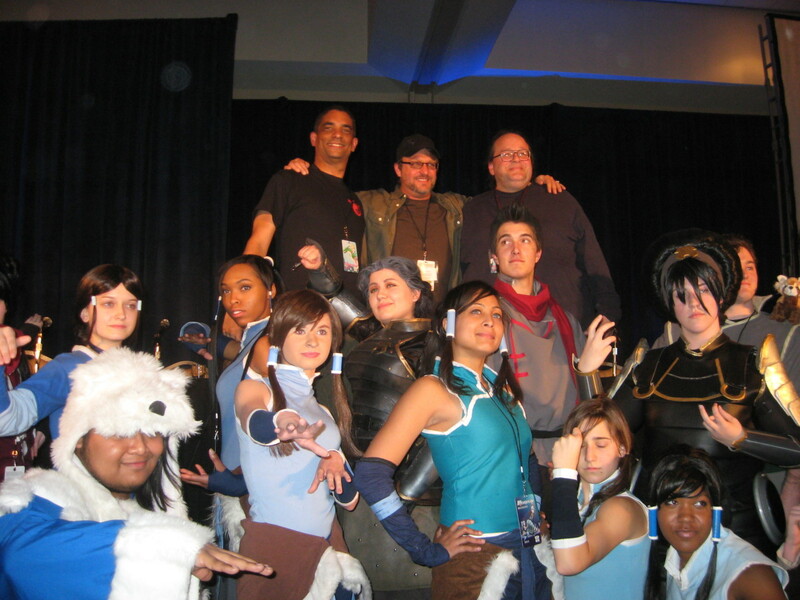 A few days ago, an event called Momocon was held and Steve Blum (voice of Amon), Sifu Kisu (martial arts master), and Sifu Rodriguez (consultant for Toph) were present for a question and answer session. During the question and answer, fans were able to obtain new information on Book 2 of The Legend of Korra. What we now know is that a subset to Air Bending will be shown and the identity of Lin Beifong’s father will be revealed. It’s interesting because these are two speculative topics I’ve already covered and voiced my opinion on. Many months ago, I speculated that the Duke could be Lin Beifong’s father. I also speculated the possibility of a subset to Air Bending and I ultimately rejected the likelihood of it being revealed to us. Back to one of my all-time favorite blogging topics: the Nickelodeon network. Only this time, I’m here to defend their most recent acts of stupidity. 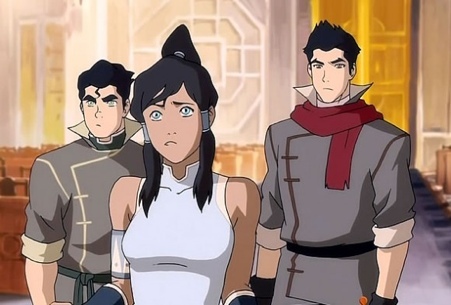 Over the last few months, there have been several instances where Legend of Korra fans have almost expected an announcement for Book 2’s release date. In both instances, fans were severely disappointed. The first instance was when fans expected a trailer of some sort to air during the television premiere of The Last Airbender. I don’t really feel like reiterating why exactly this was expected, but if you’re interested in that, you can read my first official “I Hate Nickelodeon” fan mail that I posted a few months ago. After the fandom got over that, we all got our hopes up for the Nickelodeon Upfront 2013 where Nickelodeon revealed their television line up for the upcoming year. Most of us expected them to announce a Book 2 release date since a Book 1 release date had been announced at the 2012 Upfront. We were disappointed once again when no news showed up, and all of you unleashed your anger into an open thread I posted when I was too disgusted to rant. I’ve now digested most of this ridiculousness and I think I’m starting to see things a bit more clearly. What if Nickelodeon hasn’t revealed a release date because they literally don’t know it themselves? What if we’ve been complaining about not having information that doesn’t even exist? It’s certainly a possibility, and it might even be reality. I’ve been planning on doing some sort of give away on this blog for some time now, but I was never sure what to actually give away. Surly Legend of Korra action figures wouldn’t do. But what about a copy of Book 1’s DVD? That’s when I knew I had found the perfect prize. 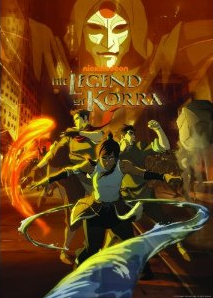 In order to repay each and every one of you for your loyalty to this blog, I wanted to hold a giveaway in which the winner receives a free copy of Book 1 of The Legend of Korra’s DVD – completely free of charge (obviously). All you need to do is follow me on Twitter @kevshah95 and @LegendofKorraWp (if you haven’t already), then tweet the link of this post to all of your followers. You can use the Twitter button at the bottom of this post to do that. If you don’t have a Twitter, make one! You don’t have to use it, just make one so you can give yourself a shot at a free copy of Book 1’s DVD. Once you’ve done that, comment your Twitter name below so I can verify that you followed the twitter accounts. If you do not leave your twitter name below, you will not be entered. The winner will randomly be chosen on March 29th in honor of the Matsuri Con and the DVD will be shipped to the address of his or her choice. 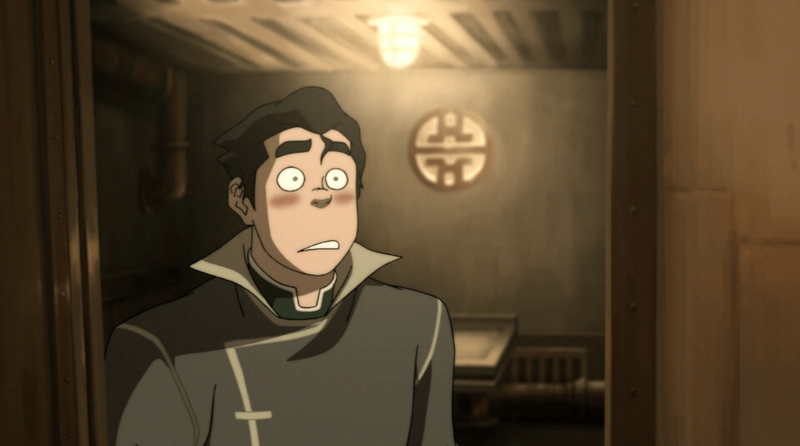 The past few weeks haven’t been the best for Legend of Korra fans. All this hype was built up for Nickelodeon Upfront 2013 and then – disappointment. Complete and utter disappointment. But it’s time to move on; dwelling on the past can be dangerous and depressing.